Michael Jackson was an international superstar, and many in the black community herald him for breaking down racial barriers in the music industry. “Michael Jackson made culture accept a person of color way before Tiger Woods, way before Oprah Winfrey, way before Barack Obama,” said the Rev. Al Sharpton. “Michael did with music what they later did in sports and in politics and in television. And no controversy will erase the historic impact.” As the Jackson 5, Michael Jackson and his brothers “became a cutting-edge example of black crossover artists,” said Mark Anthony Neal, a professor of black popular culture at Duke University’s Department of African and African American Studies. “You basically had five working-class black boys with Afros and bell bottoms, and they really didn’t have to trade any of that stuff in order to become mainstream stars,” Neal said. Young Michael Jackson was the first black “bubblegum teen star” in the vein of Monkees singer Davy Jones, Neal said. Jackson continued as a pioneer in the black culture when he broke barriers by appearing on MTV, and by breaking sales records with the 1982 album, “Thriller.” Timeline: The life of a “King” » “At the time that he releases ‘Thriller,’ I always argue that MTV was arguably the best example of cultural apartheid in the United States,” Neal said. The former president of CBS Records, Walter Yetnikoff, remembered with scorn that MTV would not play “Billie Jean” or “Beat It” because it billed itself as a rock station. Looking back on that era, a 1991 Los Angeles Times article quoted MTV founder and then-CEO Robert Pittman as saying the channel’s format didn’t lend itself to other musical styles, including R&B and country. And Pittman accused his critics of attempting to impose their musical pluralism on the channel’s die-hard rock fans. But Yetnikoff said he threatened to pull videos of his other artists unless MTV played Jackson’s videos. Watch Yetnikoff talk about getting Jackson’s videos played » Soon Jackson’s videos were heavily in rotation on MTV. Showcasing a black artist paved the way for the popular show, “Yo! MTV Raps,” and other black artists, Neal said. In turn, Jackson became one of the first African-Americans to be a global icon. He also influenced a new generation of black musicians, including Usher, Ne-Yo and Kanye West, according to Joycelyn Wilson, a professor of African-American studies at Morehouse College, who specializes in popular culture and hip-hop studies. Slideshow: Michael Jackson and his music » Changing appearance Jackson’s changing physical appearance in the past two decades led to criticism he was trying to be less black. “Here’s a man who started off looking very typically African-American and ended up looking like something few people would have recognized early in his career. His nose was trimmed, his lips were different … his skin was different,” said Cheryl Contee, who writes as Jill Tubman on Jack & Jill Politics, a blog centered on African-American issues. “The only thing that seemed to almost stay the same were his eyes,” said Contee, who also called Jackson “a genius and more than a trailblazer.” “I think [it] troubled a lot of people that he left his skin color behind and seemed somehow to be ashamed of who he was [when] he was born,” Contee said. 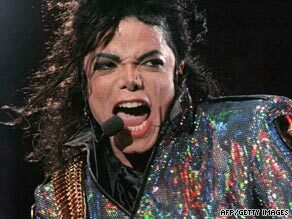 But during a 1993 interview with Oprah Winfrey, Jackson shot down rumors that he was dying his skin to make it lighter. He told the talk show host that he had vitiligo, a disorder that destroyed his skin pigmentation. Black popular culture professor Neal said Jackson’s physical changes did not reflect his life on the whole. “I think if you solely pay attention to Michael Jackson’s physicality, you actually miss something that’s much more complex. … Michael Jackson artistically and aesthetically never turned his back on blackness. His work was always in conversation with black culture both in the United States and more globally,” said Neal. Neal said Jackson’s changes were not to deny blackness, nor to become more white. “This was somebody who most of his career we read as being asexual. And I think that many of the changes to his face, particularly his skin tone, he was almost trying to achieve an a-raciality,” said Neal.